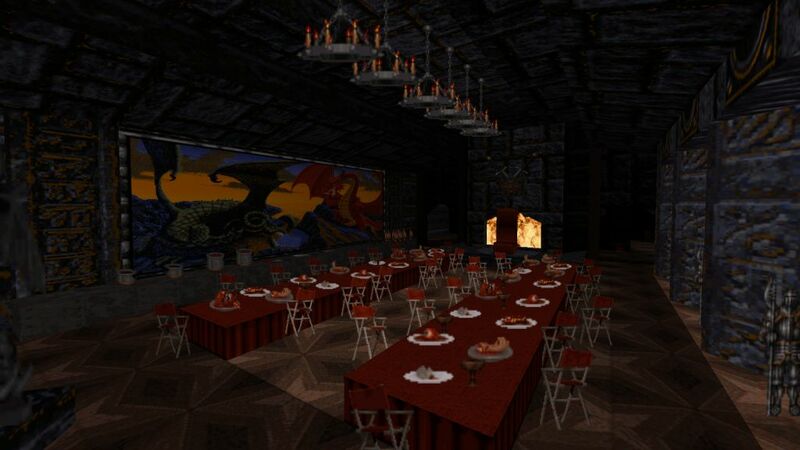 The Review: The leader of the AMC Squad has taken time off from his global responsibilities and released a Halloween map. Duke finds himself on a bridge to a big castle, the scale of which reminded me of the majestic Nali Castle map in Unreal (rather than some generic medieval dungeon from Quake). This is a sight not often seen in Duke3D, but James has recently gotten quite used to working on maps of immense scale. 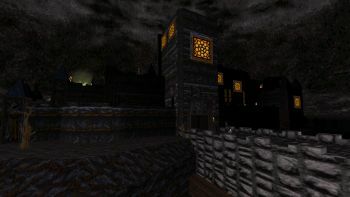 While Duke's texture set is known for its versatility, there aren't that many fitting textures that could be used to texture medieval castles; the few brick textures that are generally used for such purpose have the problem that, if used, end up making the maps look too similar to each other. 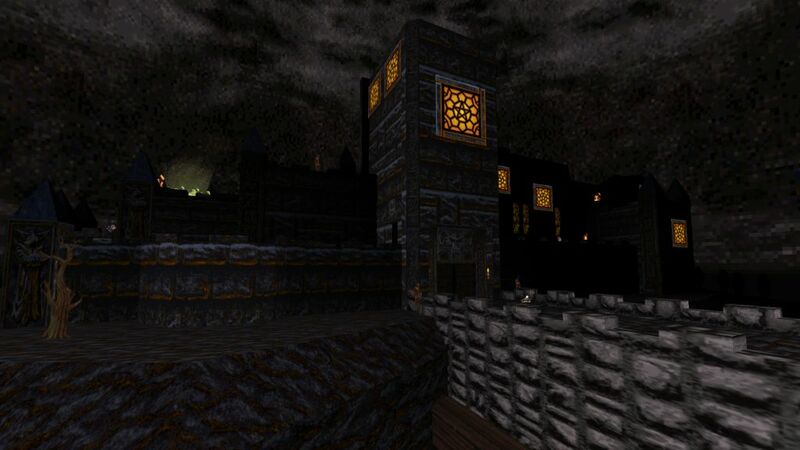 James has solved this problem by supplying the map with a new set of medieval textures and sprites. They fit in well together, but base game assets such as monsters do seem to stick out in this environment. Pig Cops blend in a little bit better because their art has been borrowed from the PSX version, and, as a nice little surprise, Octabrains have been retextured with a new Lovecraftian look. While gameplay is dictated by a search for keys, the area itself is pretty open-ended, allowing you to explore the courtyard and the castle's surroundings as you wish. As for its length, the scale is a bit deceiving; the map was built in just a few days, and it should take you only about ten minutes to play through, but that ten minutes is balanced and fun. The new music track could have reminded a bit less of The wheels on the Bus though.